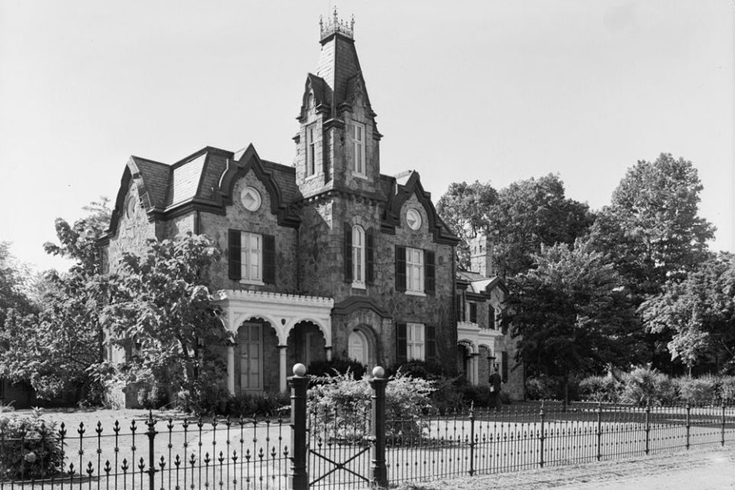 Historic Ebenezer Maxwell House in Germantown, 1964. Philadelphia will soon adopt a new set of assessment standards and strategies for preserving the city's historic properties and other assets, revising a policy that has been in place for more than 30 years. A new task force announced Thursday by Mayor Jim Kenney will explore strategies and make recommendations on matters related to surveying historic resources, incentivizing adaptive reuse, regulating preservation outcomes and educating city residents about the importance of protecting these assets. “We need to look at preservation for a city that is adding people and jobs, while still keeping in mind the resource constraints we face," Mayor Kenney said, adding that the existing ordinance was crafted when Philadelphia was in many respects a different place. Chaired by Harris Steinberg, executive director of the Lindy Institute for Urban Innovation at Drexel University, the task force will focus on development, archeology, land use, architecture and community representatives in addition to historic preservation. "I'm excited about helping to facilitate an open and transparent public process to determine how Philadelphia can best respond to the tensions and trade-offs inherent in the dynamics around preservation and growth in our city," said Steinberg. The task force will receive technical assistance from the National Trust for Historic Preservation and will receive a grant from the William Penn Foundation support operations. With additional revenue stemming from the city's fee increase for the Department of Licenses and Inspections, the Philadelphia Historical Commission will add two additional staff members beginning July 1. A request for proposals issued by the city will also recruit a project manager for the task force, whose work begins in June. Task force meetings will be held at locations across Philadelphia and will be open to the public.